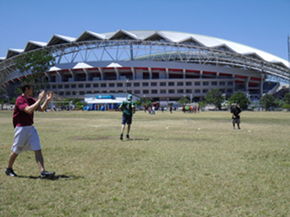 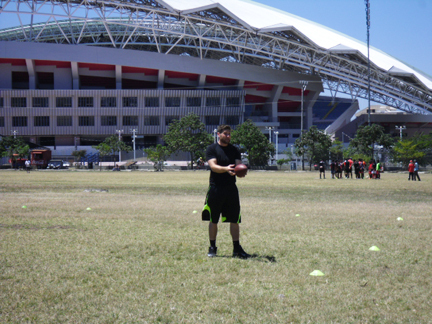 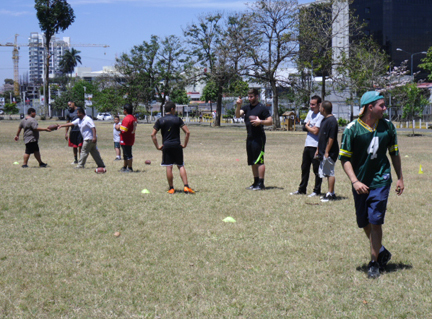 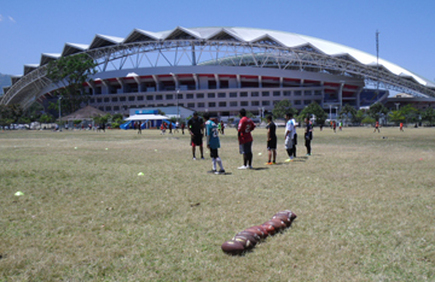 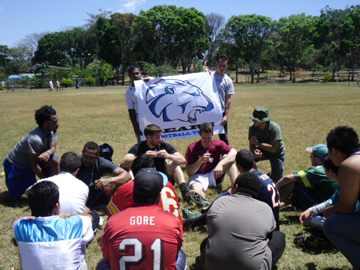 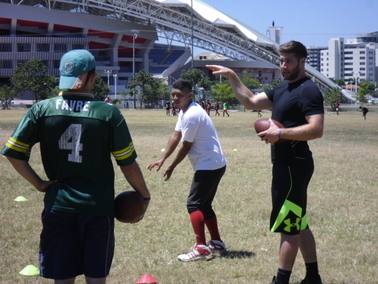 The Central America Sports and Education Project crew consisting of McLeod Bethel-Thompson, Scott Schoettgen, Burl Toler III, Cameron Toler and Tony Krikorian offered a training/practice to a group of the American football players from the Premier League of Costa Rica on the morning of March 1st before attending the Week 6 game day of the 2014 Championship Calendar at Estadio Pipilo Umana, Moravia. 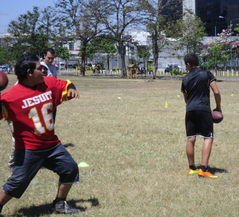 This kind of promotion is exactly what the sport needs to grow up in Costa Rica. 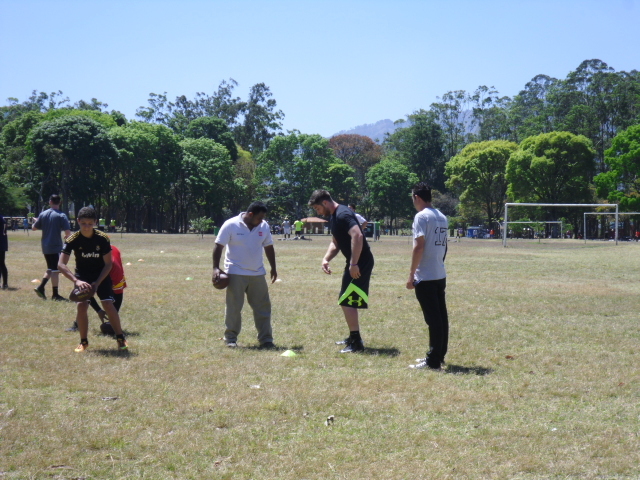 Our youths really appreciated being part as teammates of these professionals teaching what they love! 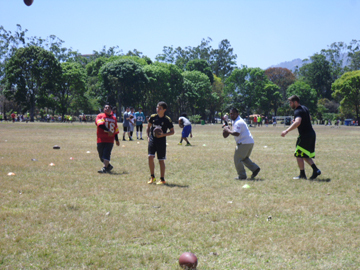 In behalf of our organization I want to express our gratitude to Ms Elle and all the guys that visited us to make this dream possible. 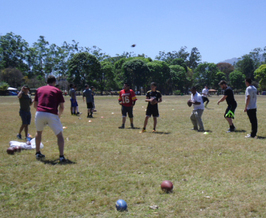 The Central America Sports and Education Crew with Ms Elle at Sabana Park, San Jose. 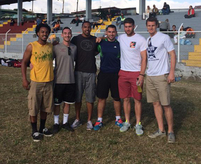 The Crew with Danny Herrera, Captain of the Costa Rica National Players. 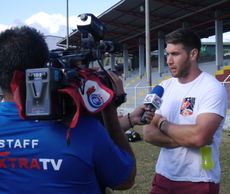 49rs Backup QB, McLeod Bethel-Thompson interview with ExtraTV at the American Football Premier League of Costa Rica game Day.